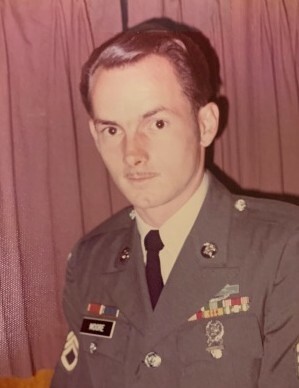 1SG (RET) Charles "Chuck" Moore, 73, of Radcliff, KY passed away Thursday, January 17, 2019 at his residence. Mr. Moore was retired from the United States Army having served two tours in Vietnam. He was also retired from Civil Service, Fort Knox, KY and a member of the American Legion. He was preceded in death by his parents, Chuck & Rose Moore. He is survived by his loving wife of 43 years, Terri Moore of Radcliff, KY; two children, Charles Leroy Moore of Boston, KY, Stacy Ross & her husband, Rob of Vine Grove, KY; one sister, Sherry Cornelis of South Bend, IN; two brothers, Lonnie Moore, J Moore both of Cottonwood, AZ; two grandchildren, Bobby, Linsay; and a host of family & friends. A graveside service with military honors will be held at 1:30 PM, Friday, January 25, 2019 at the Kentucky Veterans Cemetery Central, Radcliff, KY. In lieu of flowers the family request that donations be made to any favorite charity of choice.